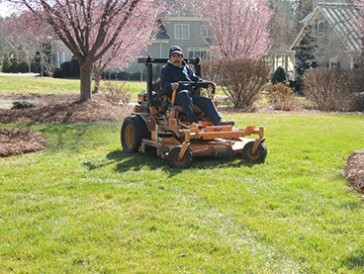 Our specialty is landscape design! I prefer to meet face to face with my customers and get a true understanding of the project. Whether it is a simple maintenance contract or a complete redesign of the current grounds, communication will ensure beautiful results and that we stay on time and budget. Design – We create striking landscapes for residential and commercial areas. I personally guarantee that you will love the design. Plants – Horticulture is the mainstay of our business, we are experts at finding the right plants for your landscape and keeping them lush and beautiful. Build – We work with stone and wood to create hardscapes that will compliment your landscape perfectly, such as Outdoor Kitchens and Water Features.